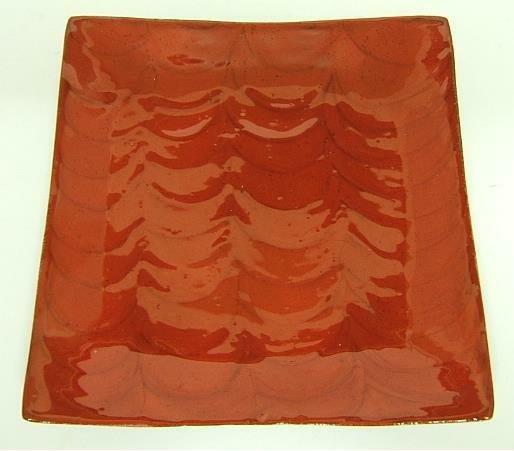 Beautifully decorated Rich Red Candle plate. The design of this candle plate has half circles under the glaze of the plate. Will enhance any room with or without a candle. 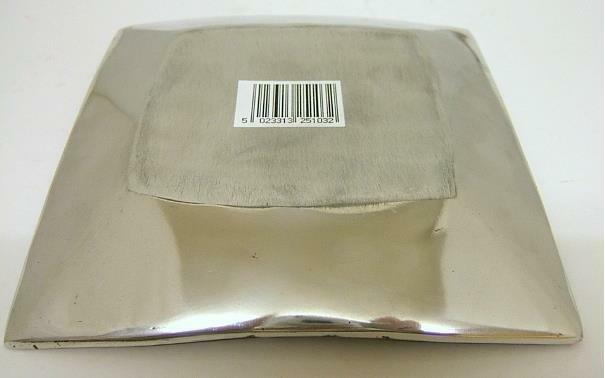 The base of the plate is Satin Silver.